Experience a lavish lifestyle at Parkway Place. A fusion of suburban comfort with vibrant urban vibes, the garden-style community offers renovated homes and premium amenities in Far North Dallas. Located off Dallas North Tollway and George Bush Turnpike, Parkway Place caters to your needs, so you can enjoy your life to the fullest. Each pet-friendly apartment features an open floor plan with renovated interiors and high-quality finishes. 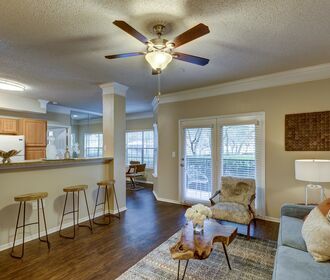 Living rooms and dining areas include nine-foot ceilings lined with crown molding and beautiful wood-style flooring. Upgraded kitchens gleam with new appliances, designer countertops and custom cabinetry. Achieve ultimate relaxation with fantastic amenities throughout the community. Two sparkling pools and a gourmet kitchen create an outdoor resort. 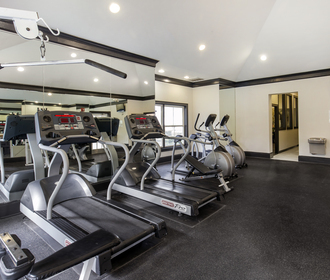 A resident clubhouse offers indoor entertainment with high-speed Wi-Fi, a cyber café and a state-of-the-art fitness center. Conveniently located near Willow Bend Mall, residents are minutes away from shops, restaurants and nightlife. 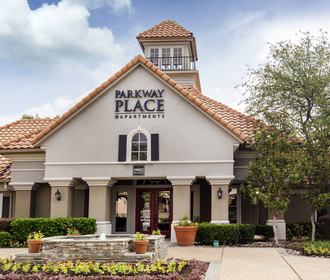 Contact Parkway Place to schedule a tour through the community!